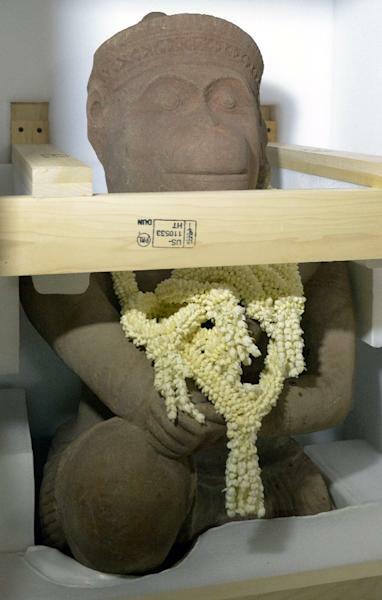 An American museum has returned a 10th-century sandstone statue of the Hindu monkey god Hanuman to Cambodia, decades after it was looted from a jungle temple during the kingdom's civil war. The metre-high statue was stolen in the 1970s from the Koh Ker temple site near the famed Angkor Wat complex. The artwork, which had been in the possession of the Cleveland Museum of Art since 1982, was received by Cambodian officials late Sunday, an official said. Buddhist monks chanted blessings and scattered flowers over the statue upon its arrival at Phnom Penh International Airport, according to an AFP photographer. 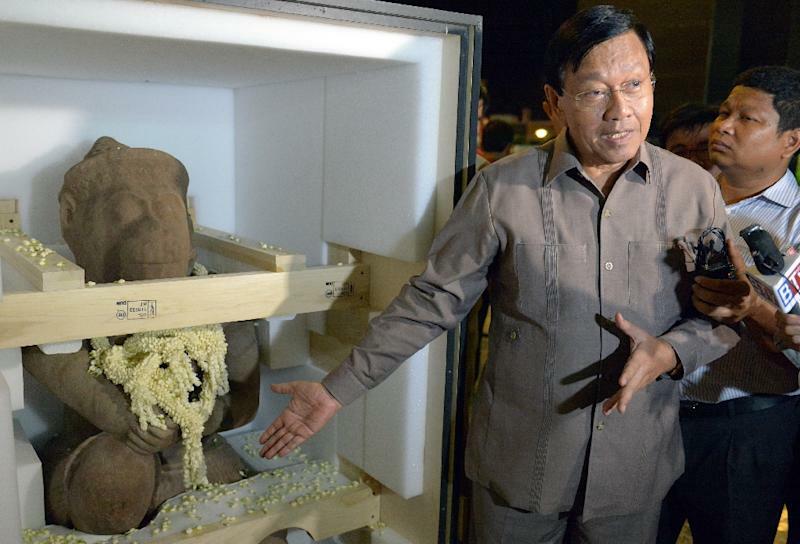 "We welcome back the statue of Hanuman from the Cleveland Museum of Art in the US," Chan Tani, Cambodian Secretary of State for the Cabinet Office, told reporters. The museum agreed to return the artwork after negotiations, but Chan Tani did not say how the museum originally came into possession of the artefact. Last year Cambodia received three ancient statues looted from the kingdom more than 40 years ago, including one -- Duryodhana -- retrieved after a long legal battle in the US. The statues, part of a nine-strong ensemble, depict warriors Duryodhana and Bhima locked in combat -- as well as a bystander called Balarama. In June 2013 two other 10th-century Khmer-era statues known as the "Kneeling Attendants" were returned. They were also looted in the 1970s from the Koh Ker temple site and were on show for 20 years at New York's Metropolitan Museum of Art. The statues are considered pieces of extraordinary value to the Cambodian people and part of their cultural heritage. UEFA Europa League: How to watch Chelsea vs Slavia Prague LIVE?